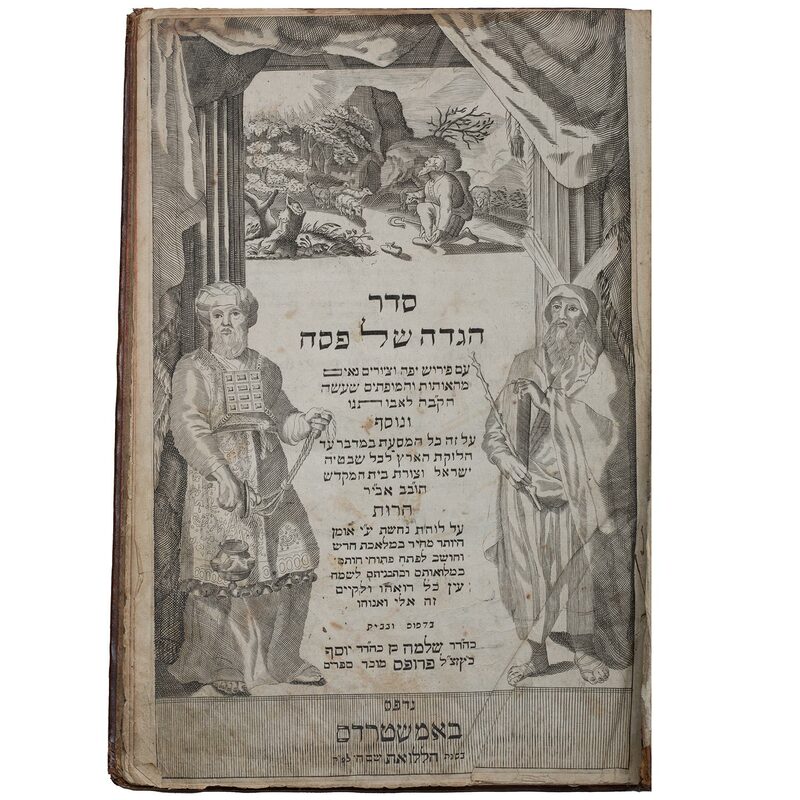 In 1695 the flourishing Jewish community of Amsterdam sponsored the creation of a lavish illustrated Haggadah by a proselyte scribe, Abraham bar Jacob. This haggadah was the first to include copperplate engravings, replacing the cruder woodcut illustrations of earlier editions. The Amsterdam Haggadah's illustrations, many of which were borrowed from the Swiss engraver Mathaeus Merian, were widely imitated in the centuries that followed, both in printed works and manuscripts, in Europe and America. This haggadah was a gift from Steven Tulsky from the collection of his late father, Dr. Alex Tulsky. Dr. Alex Tulsky was an obstetrician at Chicago’s Michael Reese Hospital who delivered as many as 5,000 babies. Alex Tulsky was married to Dr. Klara Glottmann Tulsky, and together they endowed a lectureship at Spertus Institute.